Humans are remarkably good at self-deception. But growing concern about reproducibility is driving many researchers to seek ways to fight their own worst instincts. A feature article in Nature. Read it here. And check out what people are saying about it here, via Altmetric. 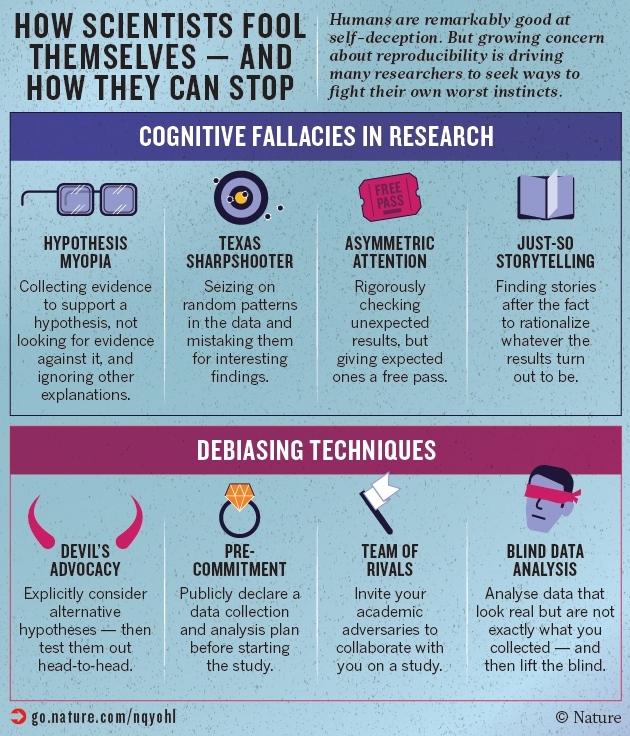 Also grab this handy infographic on common cognitive biases and how to de-bias yourself. Bonus! 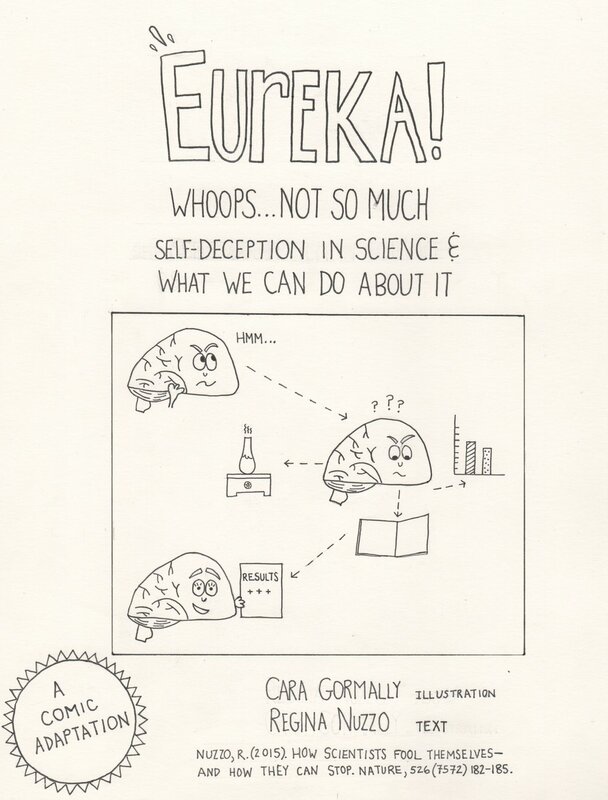 Check out this companion comic, a joint venture with the amazing science comic artist Cara Gormally.